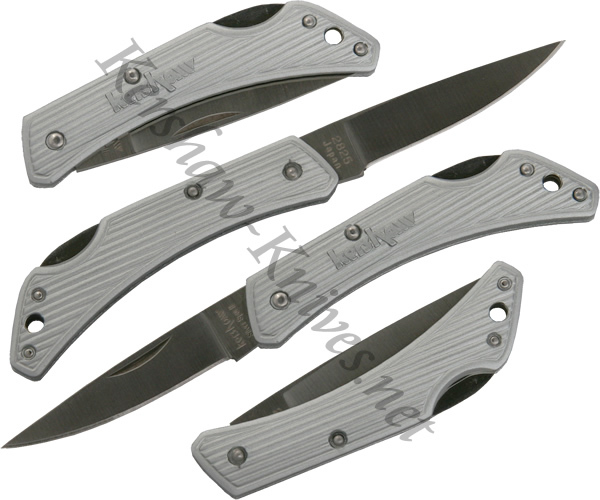 The Kershaw Silver Spur II knife is a larger version of the original Silver Spur. This Kershaw 2825 model has a 2.25 inch AUS6A stainless steel blade. The overall appearance of the knife is bright and vivid thanks to its silver colored aluminum handle. It will not put a large knot in your pocket either because the Silver Spur II weighs only 0.9 ounces.